Ever heard about Rudolph and his rather red nose? 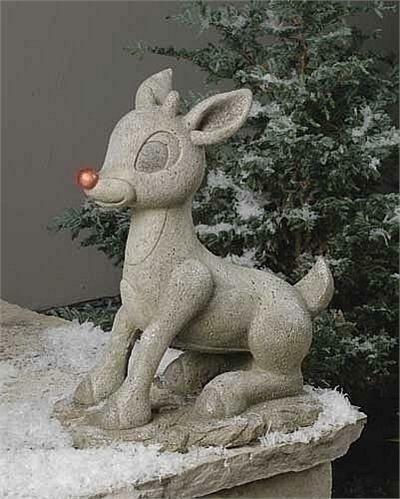 Well, our manufacturer has come up with a statue of Rudolph complete with his shiny, red nose and this is a solar statue! Dimensions: 18"H x 15" x 10"